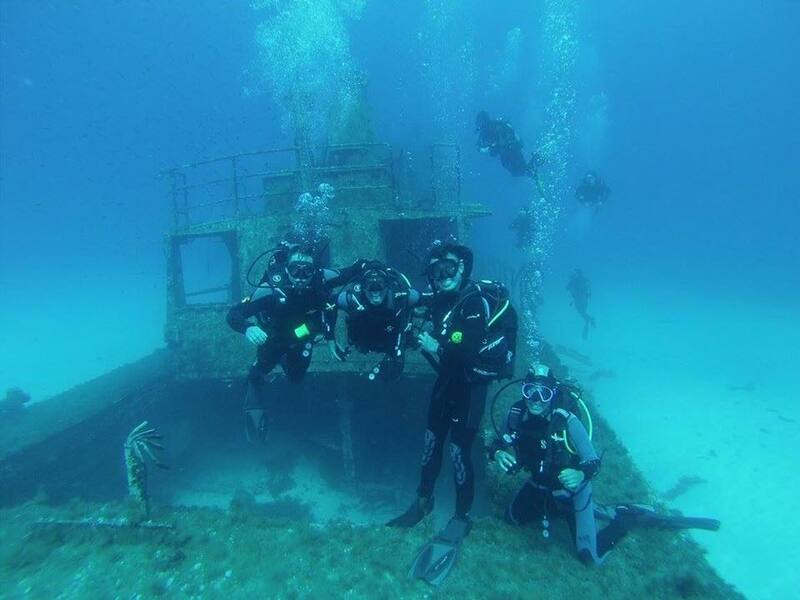 Following the 2016 Easter period, 106 Regiment Royal Artillery travelled to sunny Malta to commence Exercise Cockney Abyss, a SCUBA diving expedition aimed at developing competency and confidence in the sub aqua discipline. Nine troops enjoyed a challenging and rewarding endeavour in which they were able to develop their diving skills and achieve gradual depth progression in an interesting and varied environment. As with all adventure training, the overall exercise objective was to facilitate a controlled exposure to risk in order to develop individual and group courage, leadership and problem solving skills. 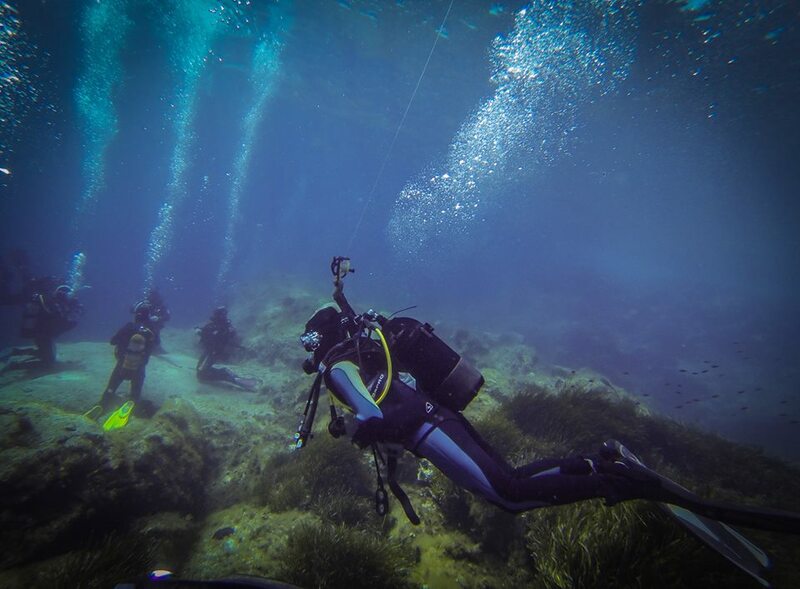 To ensure troops got as much as possible out of diving Malta’s clear waters, all divers with little to no previous diving experience received training in the UK prior to the expedition. Thus, upon departure for Malta, seven troops were qualified to the BSAC equivalent of Ocean Diver with two, more experienced, personnel qualified to the BSAC equivalent of Dive Leader. The difference in experience and qualification within the group allowed for a good deal of inherent support and direction in parallel with the extremely high class of formal instruction provided by the Dive Deep Blue dive centre in Bugibba. Expedition leaders were able to liaise with instructors from the dive centre daily in order to debrief and plan the next day’s diving. This proved extremely valuable in practicing dive planning and management in terms of getting to grips with the large number of factors that have to be taken into account. Throughout the expedition, our band of Ocean Divers worked towards their BSAC Sports Diver qualification which encompassed skills dives, rescue scenarios, dive planning and dive leading. Troops were introduced to many new theory concepts in a classroom environment before practicing and demonstrating competency at depth. 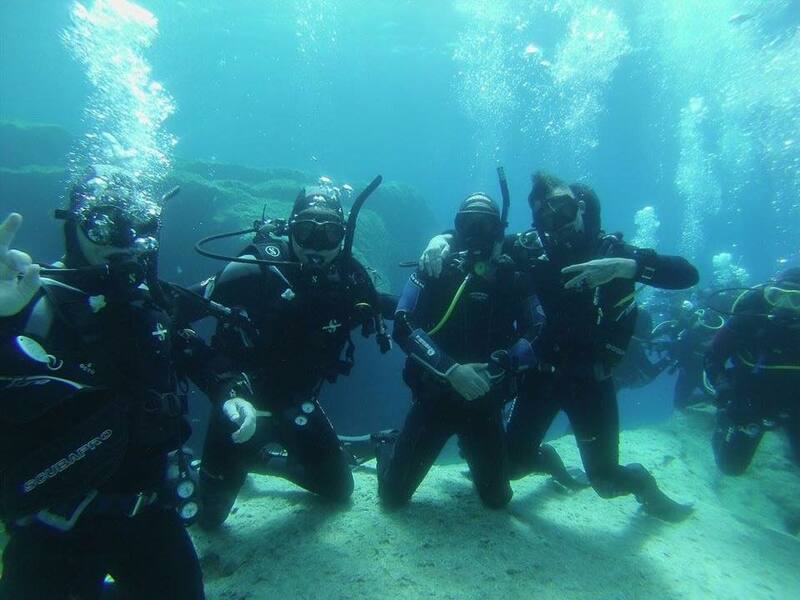 SCUBA diving can be a challenging and testing discipline with divers expected to keep tabs not only on their equipment and air but also that of their buddy. Divers learned how to plan dives taking into account depth, time and individual air consumption before taking it in turns to lead the dive. As the week progressed, the dives got more challenging with increased depth, increased dive time or with reduced visibility such as in caves or wrecks. Divers were able to enjoy both shore diving and boat diving even during some choppy post dive seas! Their willingness to learn and achieve was easily apparent and all seven successfully completed their Sports Diver assessment which will allow them to dive at a greater depth, enhance their diving portfolio and even attend the first course on the path to becoming a diving instructor. Meanwhile, our two Dive Leaders worked towards becoming Advanced Divers and completed the many skills and rescue scenarios that form the course. They were able to perform multiple technical dives which involved obligatory decompression stops using various gas mixes using a redundant gas source. They are now just a few dives away from obtaining the qualification, which will allow them to organise further trips to unknown sites and develop their instructor portfolio. Diving in Malta allowed for a variety of amazing sites. 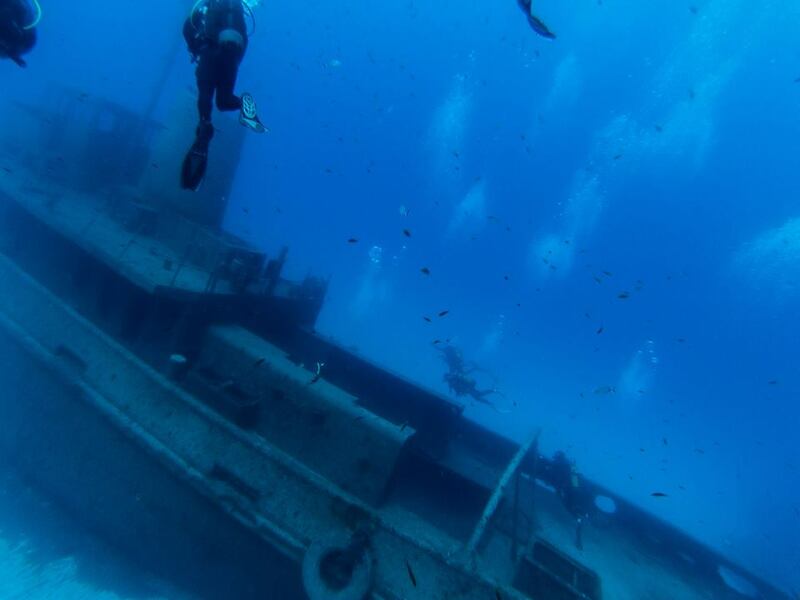 The group were able to dive a number of wrecks, most notably The Imperial Eagle, Um-El-Faroud, M.V. Rozi as well as a couple of Patrol Boats. The many reefs provided stunning sea life in sharp contrast to the open water dives the group had experienced in the UK. The intricate cave networks that line the coast also provided some incredible and often challenging diving with many spectacular caverns hidden behind constricted and claustrophobic passageways. The group demonstrated exceptional teamwork and professionalism in helping each other navigate the dark and disorientating routes. The rest and relaxation/decompression phase began after the final dive on the Friday afternoon before a Saturday afternoon return flight. 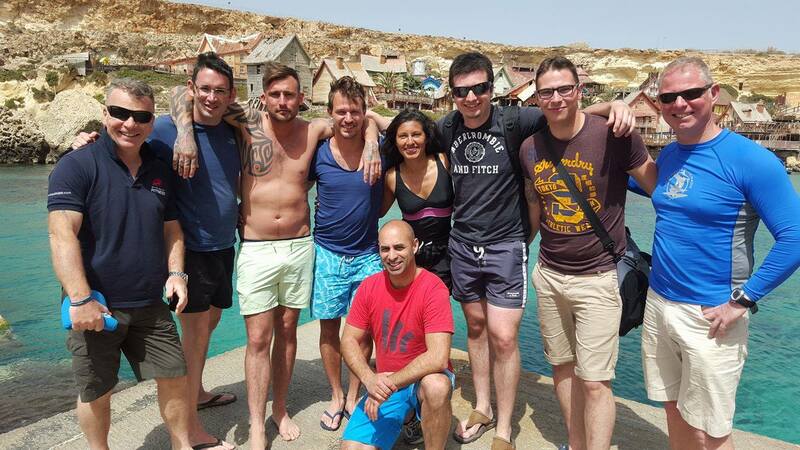 The group were able to enjoy some Maltese culture and nightlife before returning home. In summary, Exercise Cockney Abyss was a hugely successful and enjoyable expedition with all divers achieving highly and practicing important skills that will help them develop both their SCUBA diving and other adventure training careers. Troops were able to build personal and group confidence and competence in the sub aqua environment as well as appreciate the responsibility that comes with dive planning, monitoring and leading. Exercise Cockney Abyss has sparked an interest among both the participants and the entire Regiment in continuing diving both in the UK and overseas. Many thanks go to those who helped organise the trip, to Dive Deep Blue Malta for the high quality of instruction, and to The Ulysses Trust for their financial support.